Foundation repair really isn’t something you can do on your own. As much as you might wish that foundation repair is a DIY project, it really isn’t. 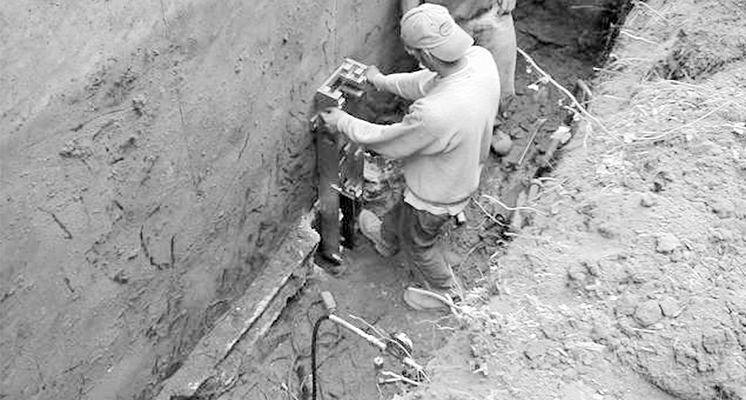 It is important to find a solid, experienced foundation repair contractor to resolve foundation problems such as settlement. Your home is likely the biggest investment you will make in your lifetime, and the foundation is the base of that investment. So where do you begin? Step 1: Educate yourself. Use sources like My Foundation Repairs to educate yourself on the problems associated with foundation failure such as cracks, bowing walls, and water seepage. Step 2: Investigate the solutions for foundation repair. Knowing the types of solutions that are available and how they work and how they are installed will help you talk to structural engineers and foundation repair contractors easily. Step 3. Contact local foundation repair contractors. Use tools like the “Locate a Dealer” feature on the ECP website to find contractors in your area. Step 4. Ask questions. How are the contractors trained? How often are they trained on new techniques? What products do they use and where are the products made? (ECP products are made in the USA in Olathe, KS!) Are the products tested and do they follow any standards? How long has the manufacturer been in business, and do they hold any patents for their products? Step 5. See if the contractor offers financing, free estimates, and warranties for their products. Good contractors and foundation repair product manufacturers will stand behind their products and try to assist you however they can to protect the investment you have in your home. The manufacturer should also stand behind and support their contractors as partners. Foundation repairs can be a scary prospect if you are a homeowner. But if you find the right foundation repair contractor, they will guide you through the process. ECP strives to find and work with the very best foundation repair contractors across the country. If you are a foundation repair contractor and are interested in partnering with a foundation repair manufacturer that stands with and behind their team, contact us today.